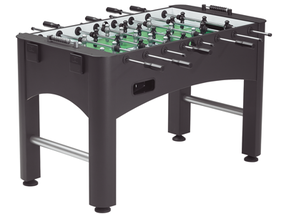 This foosball table is the top of the line in terms of the 3 tables that Brunswick manufactures. 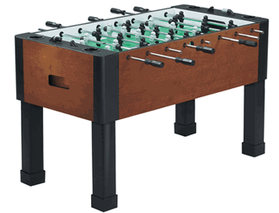 This table features a higher end set of foosball parts than any of their other tables offer. The Champion features adjustable leg levelers, wooden handles, side ball returns, inset cup holders, beaded style scoring, and a heavy duty cabinet design. 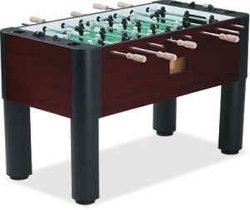 This foosball table is priced at $1,300 US.